Reverend. Arthur Hulse and his family. He was priest in charge at St John’s in the late 1940’s to the early 1950’s. 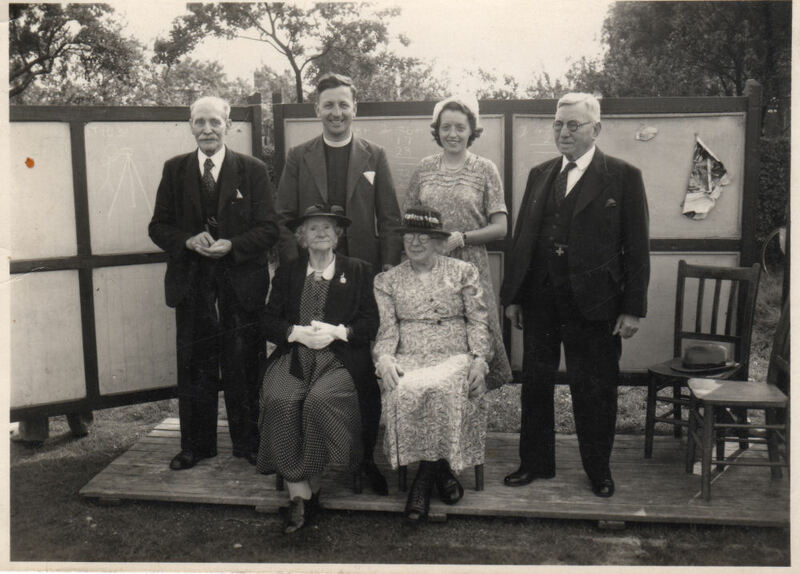 Rev Hulse with some of the founder members of the church. 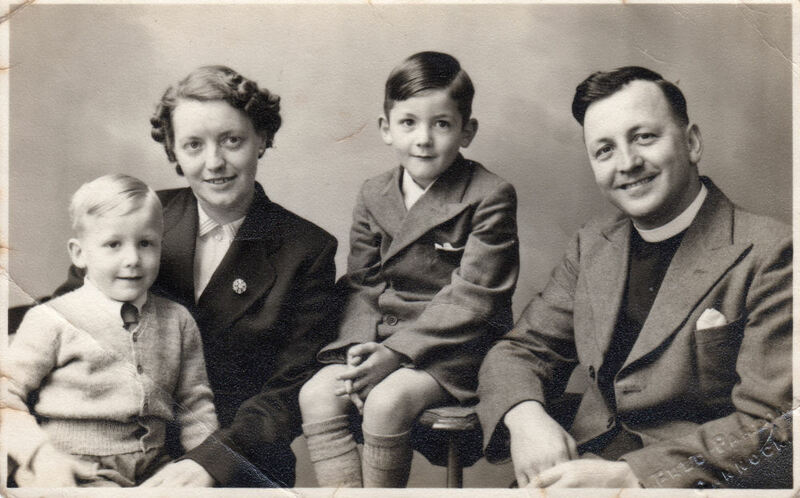 L to R. Mr Bruce (church verger for many years who after his death was followed by his son Harold who was then followed by Harold’s wife Nellie of dance band fame). Rev Hulse, Mrs Hulse and Mr Fereday ( father of Harold).